There are a lot of bands looking for success and there’s a lot of bands with horse references in their name. So Behold A Pale Horse are in both these crowded sets and whatever you think of their name, it’s surely better than Savants, which is what they used to be called. Behold A Pale Horse have just released a split 7” single (with a band called The Dash) and it includes – on the digital release - two tracks 'Queen Bee' and 'To Each Other'. Apparently, you shouldn’t judge a book by its cover and the same is true of this single, which has faintly psychedelic artwork on the sleeve, whereas the band actually have an angular post-punk sound. 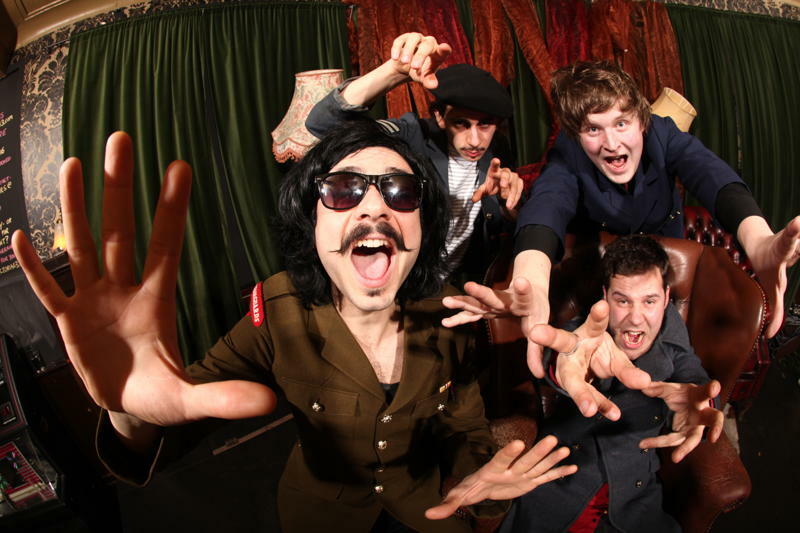 In fact, their image maybe needs a sharper focus – given that the photos in the press pack suggest they might be either Billy Childish & The Buff Medways or the Kaiser Chiefs. I suppose with good reason, in that they are somewhere in between and reminiscent of several inmates of the famed Dischord label. Both songs are energetic, nicely produced and fuelled by clanging guitars – and the rhythm section are no slouches either. I particularly like 'To Each Other' (and 'Ginsberg', another track, on their MySpace) whereas 'Queen Bee' probably shows its influences too clearly. The lyrics are distinctive – the chorus line "we scream some poetry to each other then we die (all alone, all alone, all alone)" – and they’re one of the very few new bands I’ve heard recently whose words demand your attention. So they can play, write good tunes and make a well-organised racket. I’m not sure how far that can take you these days but if Behold A Pale Horse are resilient and get some luck along the way then who knows. For now 'To Each Other' is a bright and entertaining start. Recommended, as they say. The 7" split single was released earlier this month and is also available digitally on iTunes etc.